Nepal is a country of great contr asts; Himalayan peaks such as Everest and Annapurna, Kathmandu with its colorful bazaars, hundreds of temples and monasteries, and its friendly and hospitable inhabitants. The kingdom is situated between India and Tibet and it has nearly 22 million people. 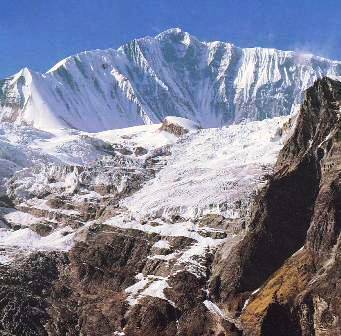 Elevations in Nepal vary from about 250 feet in the tropical Terai region to 29,028 feet at the Summit of Mt. Everest. Nepali life is rich in culture and religion which gives it a feel all its own. Trekking in Nepal : We offer treks in every region of Nepal. We use lodges or tea houses for our more classic and popular treks and bring our own camps for the remote treks. Trekking is the ultimate way to experience the beauty and culture of Nepal. Our lodge treks can be done with as few as 1 person all the way to a group of 20+. Our off the beaten path (remote) treks require a minimum of 2 people. 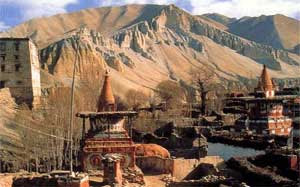 But trekking groups can always be found once you are in Nepal or we can arrange a group with other interested clients. Keep in mind with all the treks we offer that we are committed to making your time in Nepal a special and unique experience.